In what could be a citywide model for future fights, residents rallied to save Errol’s Bakery and won! On Jan. 7, as the first big storm of the winter was busy dumping nearly a foot of snow on the New York area, more than 25 neighbors and activists rallied on the corner of Flatbush Avenue and Hawthorne Street in Brooklyn with signs reading: “Give Errol’s a New Lease!” The beloved Errol’s Bakery, a Flatbush staple renowned citywide for its Jamaican patties and jerk chicken, was facing eviction after 15 years on the block, and the community was having none of it. “Greedy landlords go away, we want Errol’s Bakery to stay!” the group chanted as the snow pelted down. The rally was the second of three community actions organized in support of Errol’s by Equality for Flatbush after the group’s lead organizer, Imani Henry, learned in late November that the bakery’s owners, Dorothy and Errol Miller, had been denied a new lease and were facing eviction. “We had no problem the first 15 years,” explained Errol Miller. The Millers say they had never missed a rent payment since opening the bakery in 2001, and the building’s owner, Rothstein Management, had so far offered them successive five-year leases without any issue. But last year, when the lease was up, the landlord stopped answering the Millers’ calls without explanation, only to take them to court when Errol’s stayed put after the lease expired. Unlike roughly half of New York’s residential tenants, whose right to renew their lease is protected by rent-stabilization laws, commercial tenants like the Millers are at the mercy of the market. As a result, one small business after another has been pushed out by skyrocketing rents. On a five-block stretch of Bedford Avenue in Williamsburg, now the most expensive commercial strip in the borough, commercial rents have climbed a staggering 477 percent over the past decade. With rents finally leveling off in the most condo-filled areas, landlords and developers are shifting their sights to less-gentrified neighborhoods like Flatbush, the heart of Brooklyn’s Afro-Caribbean community. A new report by the real-estate services company CPEX lists the intersection of Flatbush Avenue and Church Avenue, just a few blocks down from Errol’s Bakery, as one of six Brooklyn retail areas “poised for growth” in the Williamsburg mold over the coming years. Area landlords are counting on it. Rather than gradually raising the rents on businesses, advocates say, landlords are actively kicking tenants out and keeping stores vacant while they wait for the gentrification wave to hit. According to Shelley Kramer, vice president of Parkside Empire Flatbush Avenue Merchants Association, at least 22 storefronts along the 10-block stretch of Flatbush Avenue between Empire Boulevard and Parkside Avenue are currently vacant. Errol’s almost became one of them. Last May, a court ordered the Millers to vacate the space by the end of November. As word began to spread about the bakery’s impending eviction, the court extended the deadline to Feb. 28, and community members rallied around this neighborhood institution. Equality for Flatbush began circulating a petition online to save Errol’s, and held its first rally outside the shop last Dec. 17. Passers-by joined the dozen-odd picketers in support. Two months, two protests and more than 1,500 petition signatures later, the Millers finally secured a new five-year lease from Rothstein Management. While the Millers and the community around them are celebrating this victory, the struggle of small businesses like Errol’s is far from over. 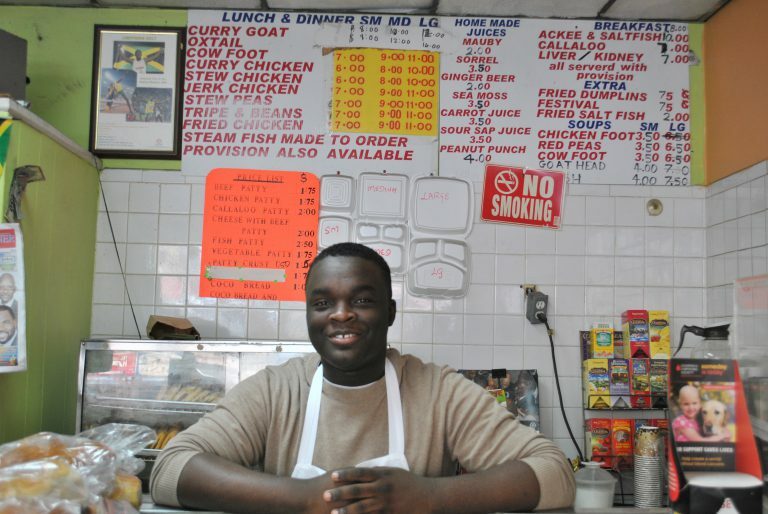 Supporting families like the Millers is one reason Equality for Flatbush has launched a new “rapid response legal fund,” to connect small-business owners as well as other low-income tenants and homeowners to trusted lawyers. Meanwhile, as one beloved neighborhood institution after another has been forced to shutter by escalating rents, a coalition of small businesses, residents and advocacy groups under the banner Take Back NYC is making a renewed push to pass the Small Business Jobs Survival Act. The bill would allow commercial tenants to bring rent increases to arbitration and give them the right to get 10-year leases. Members of Take Back NYC insist that there is no need for another study, and that the speaker’s plan is little more than a stalling tactic to placate real-estate interests. “How can the Speaker acknowledge ‘unaffordable rent increases’ as the core problem and then not address it in her solution?” the coalition demanded in March 2016. It called the proposed study “another Trojan horse from City Hall … to keep the status quo,” and charged that Mark-Viverito was selling out to the Real Estate Board of New York, the powerful developers’ lobbying group that has long opposed restrictions on commercial rents. As of press time, the bill remains stalled. On a cold Saturday in early March, Errol’s is bustling, and the taste of victory is still in the air. A sign out front reads, “To everyone who prayed with us and for us, who stood in the frigid cold, mounting snow and the rain to let your voices be heard… to those who stopped by daily to give an encouraging word, words are not enough to express how grateful we are to have the support of you all.” Now, when the bakery’s loyal customers stop by Errol’s for their patties, spice bread and oxtail, they can enjoy the fruit of their collective action, too.